The College offers Three Year LL.B. / LL.B. (Hons) program, the successful completion of which will earn the student a LL.B. / LL.B. (Hons) Degree to be awarded by Gauhati University. The duration of the LL.B. / LL.B. (Hons) degree course shall be for a period of three academic years. Each academic year is divided into two semesters, each semester having an average of 100 working/ teaching days. The academic terms shall ordinarily be between July to December and January to June. The Three Year LL.B. / LL.B. (Hons) course is a full- time course and no student is permitted to purse simultaneously any other course. The admission of a student can be cancelled at any stage for violation of this rule. (a) A candidate for admission to the Three years LL.B. 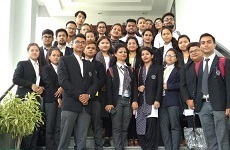 Course must have Graduate in any discipline from a recognized University with at least 45% of the total marks for general candidates, not less than 42% for OBC category and 40% for SC/ ST candidates as per latest Bar Council of India Rules. Those awaiting for their final year results can also apply for admission in the Programme. (b) Aged not more than 30 years for general category applicants & 35 years for SC/ST/OBC candidates. Reservation as per norms laid in relevent Act / rule of Govt./ Gauhati University/ Bar Council of India. Admission to the First Semester Three Year LL.B. / LL.B. (Hons) shall be on the basis of merit. Admission Form & Prospectus can be obtained from the College Office on payment of Rs. 500/- or by post by sending a DD for Rs. 550/- made in favour of "NEF Law College" payable at Guwahati. Admission Form & Prospectus can also be downloaded from the website : www.nefcollege.org . A Demand Draft of Rs. 500/- (Five hundred only) has to be enclosed with the downloaded Form. 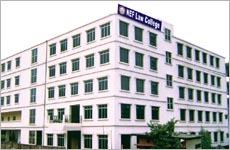 NEF Law College, established in the year 2006 is one of the finest centers of Law Education in the NE Region. 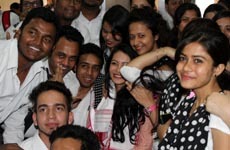 The College is located at Christianbasti, G.S.Road in the heart of Guwahati city. NEF Law College, Guwahati,Assam © 2007-2016 All Rights Reserved.